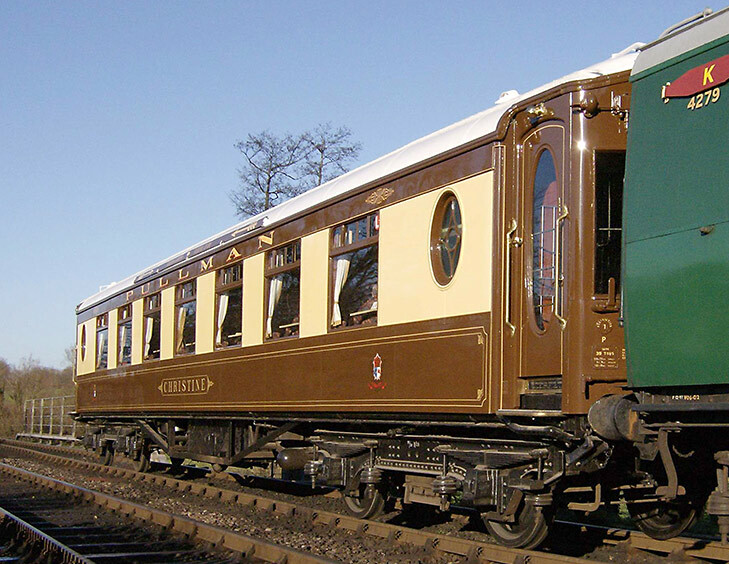 Built as a Second Class Restaurant car for the London-Harwich boat trains, it was rebuilt in 1937 as a third class parlour car. It ran on many different trains, including, in the 1960s, the short-lived private venture, the Regency Belle. Although this train usually used the 5-BEL electric Pullmans, it was formed of conventional cars when required to run off the electrified system during engineering work on the Brighton Line. 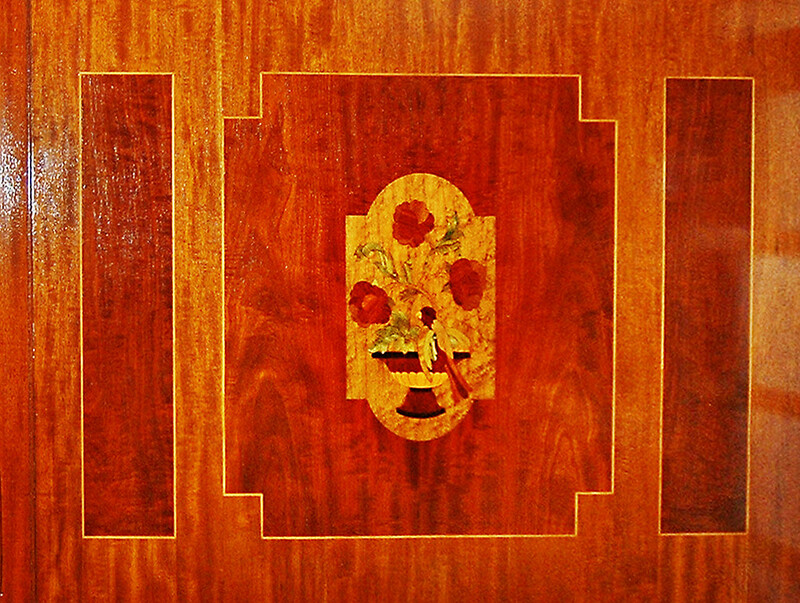 It ended its days on the Bournemouth Belle in 1967. 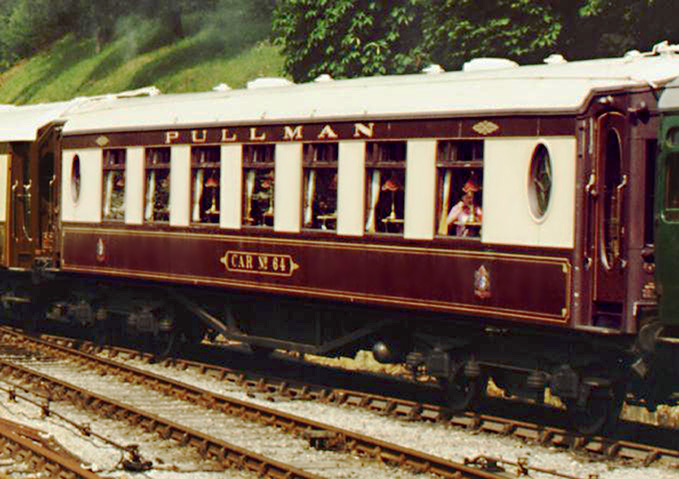 On withdrawal it became one of five Pullmans in the Bulmer's Cider Train, being named "Christine", and toured the country for promotional purposes, as well as being in the historic train hauled by King George V which ended the BR steam ban. In 1985 the entire train was sold to the Venice-Simplon Orient Express, who were keen to dispose of those vehicles which they did not require. Car 64, the most complete of the vehicles, was offered for sale and the Horsted Keynes Pullman Car Group had to move rapidly to purchase it. Although it was the fourth of our Pullmans to arrive on the Bluebell, in view of its satisfactory condition, it was fit to run almost immediately, and so became the first of the four to enter service, after some remedial work. 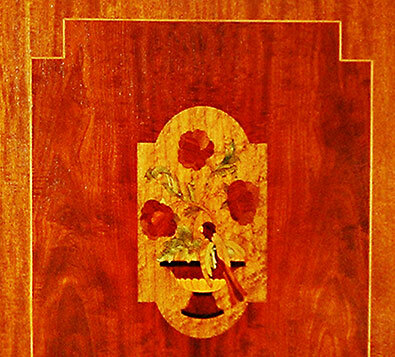 Our dining train, the Bluebell Cutler, was renamed the Regency Belle at that time. It has always been acknowledged that its condition was such that it could only run for a few years before major repairs became necessary. The work was expected to involve the complete replacement of the ends, and part of one side which were evidently substantially rotten, as well as the refurbishment of the interior. Up until the end of 1999, Car 64 carried on in service, becoming an increasing maintenance burden, but finally the decision was taken that its structural condition was such that it had to be withdrawn; make-do and mend maintenance can only be carried so far without jepodising the long-term future of the vehicle. 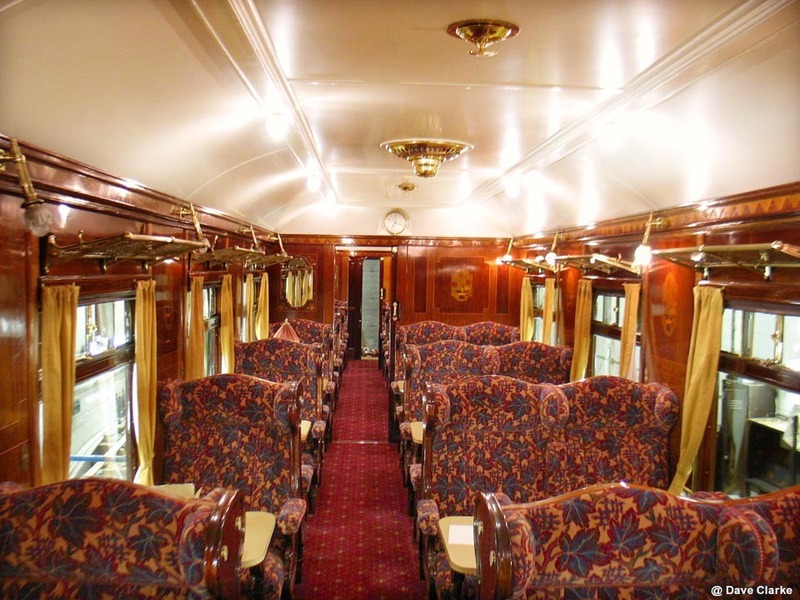 During the Autumn of 2000, a contract and volunteer team repaired the worst part of the East side and patched the roof, and some of the seating was re-trimmed, enabling it to re-enter service on the Bluebell's Golden Arrow Pullman Dining Train for the Christmas services, but this was only a temporary respite. 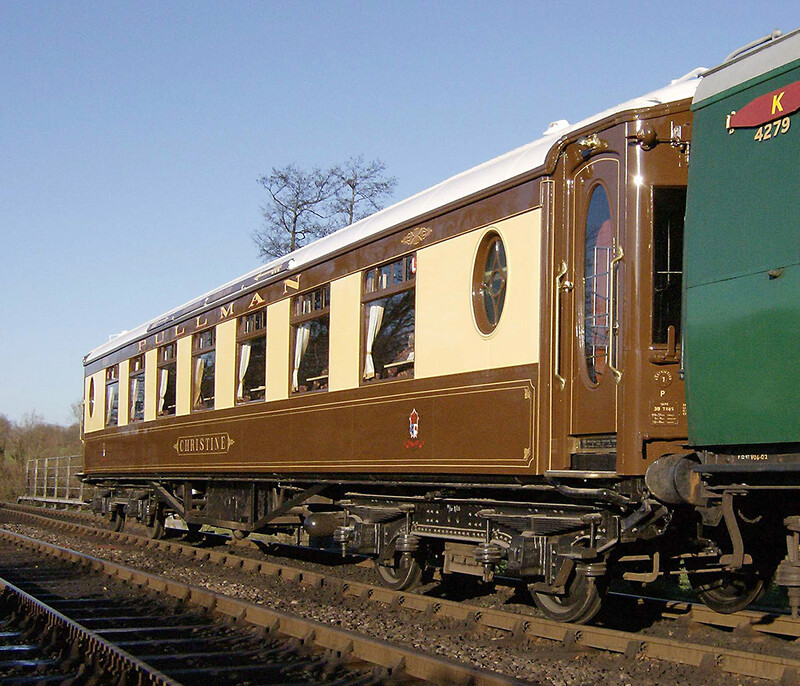 In early 2004 it was stripped down and sent away for overhaul of the body structure, whilst we undertook the interior refurbishment, and in late 2004 the revitalised body returned to Horsted Keynes for completion of the overhaul as reported in the C&W Works News. It returned to traffic on 1st December 2006, and will be running again in the Golden Arrow Pullman Dining Train, again carrying the name "Christine" in early 2007. © Text copyright April 1995 to Dec 2006 by Richard Salmon. © Photos copyright, Richard Salmon, Dave Clarke and Andrew Strongitharm.